Joey Logano, Brad Keselowski and Ryan Blaney all hit the pit lane. Team Penske was dominating the top-5, they just pulled off the race track for four new tires. Kyle Busch pretended that he was heading to the pit lane as well. But, it was a fake. Busch turned back into the race track just before the commitment line. On the restart, Keselowski found himself 3 wide coming to the green. That’s a violation. Keselowski was forced back to the pit lane under green. Kyle Busch and Kurt Busch found themselves at the front of the field. The brothers battled for another race win at the coliseum. Kurt Busch got into the wall, Kyle Busch opened the gap and he took the win. But, had Kurt not gotten into the wall, it might have turned out different. “Kyle’s won here now 8 times, I’ve got six. A lot of times, you gotta stay out on old tires and just do battle,” Kurt Busch told NBC after the race. “That puts us in the playoffs. He’s already won this year. I’m with a new team. He’d get over it,” Kurt Busch concluded. This was not news to Kyle Busch when he entered the media center. 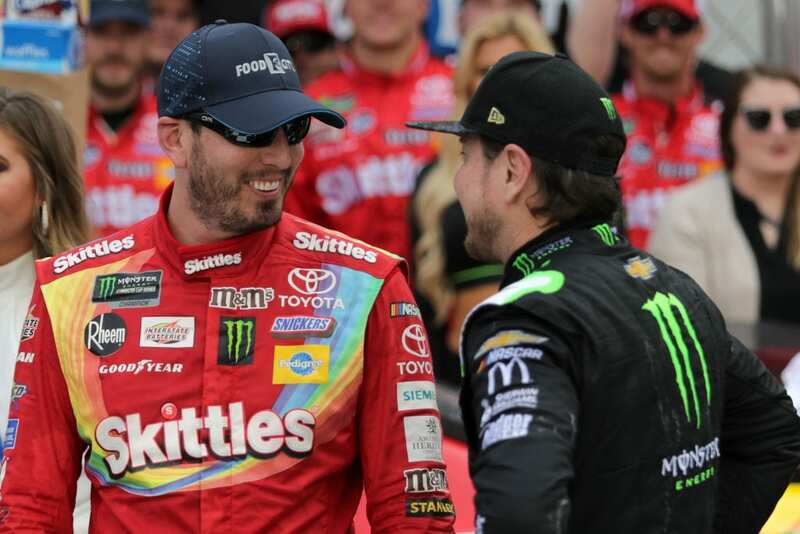 In fact, Kurt Busch walked up to his brother Kyle in victory lane and told him what his plan was. 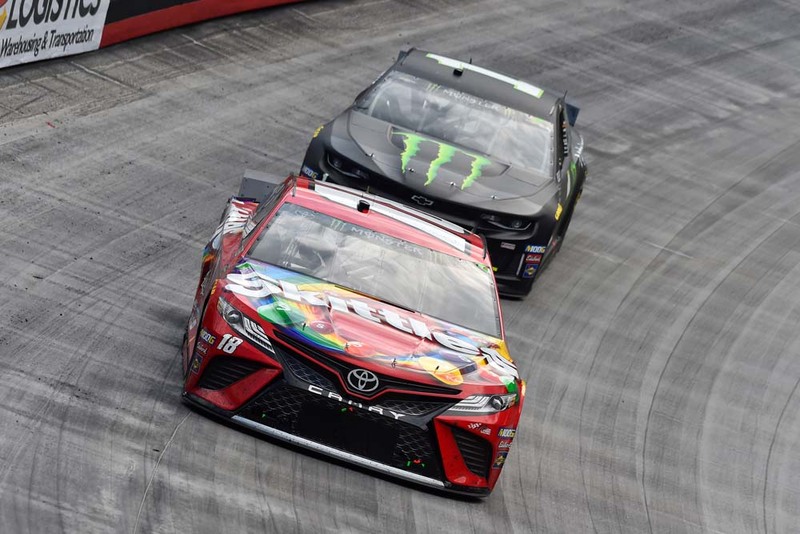 The win on Sunday makes it’s four wins in a row for the Busch brother at Bristol Motor Speedway. As for the past, these two have wrecked each other on the race track. After years of racing together, it’s going to happen. But, the two didn’t talk for months when it happened the last time. It took a call from grandma to sit them down and get them talking to each other again.